Like to play racing game partners, many people should know that “extreme racing horizon 3”, cool skills, extended maps, new games are waiting for you to challenge, the following to share some of the novice skills and Notice to everyone. 1, if you hold the kind of sense of manipulation, you can bypass, because this game is more difficult to control more than fly. 2, as far as possible with the recommended equipment, willing to screen almost, should be selected in the film options 60FPS, 30FPS although stable, but play a significant sense of delay. 4, online games, running the first is not the most important, the score is the most important, the score is by bending, drift and other technical scores superimposed, but you hit the wall, stacking multiple will not, so the online model racing class Do not hit the wall, do not crash in the case of the first two as possible to complete the game. The game supports a variety of keyboard, handle and steering wheel manipulation. Each control can be customized key settings, where the keyboard can be customized file has been allocated, can be directly modified on its basis. Steering wheel operation comes with several mainstream steering wheel controller profiles, such as Logitech’s G29, G920, Fanatec’s CSR, CSV2, Thrustmaster’s TMX V1, RGT, etc. are included. The gray in the map interface is expressed as a road that has not been entered, and white or red is indicated as a street that has been found. The color and type of the different lines indicate the difference in the type of road. Just enter the game when you can customize the role of image and call, where the nickname can be selected into Chinese, but the voice is still in English, have to say that some of the translation of the ground gas. Here you choose the picture is not just a photo only, each character has an independent model, although you can not get off to carefully view, but in the transition CG or driving when switching perspective can still see the general form. 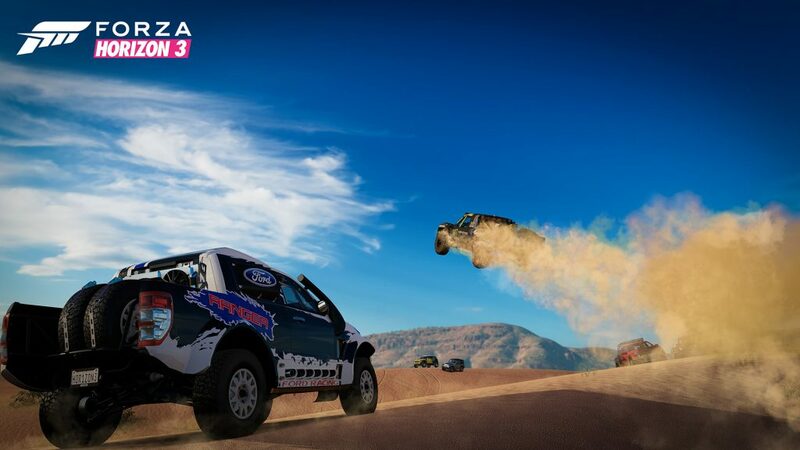 Just arrived in Australia [Horizon] there is a race, but a separate contest, the assistant has also been arranged for the players of the vehicle, driving off-road vehicles to complete the show can be. The games include: show events, street racing, midnight battles, improvisation. The first three events must reach the designated location in order to initiate the event, improvisation war that can be on the road with ID, with the driving vehicle AI challenge to complete a separate racing. Show the game can customize the rules of the game, the location speed, set the number of laps, race conditions, vehicle type, create a unique blueprint, but also can view other players make the game blueprint and direct use. In addition, street racing and midnight warfare need to meet specific conditions to join the game. 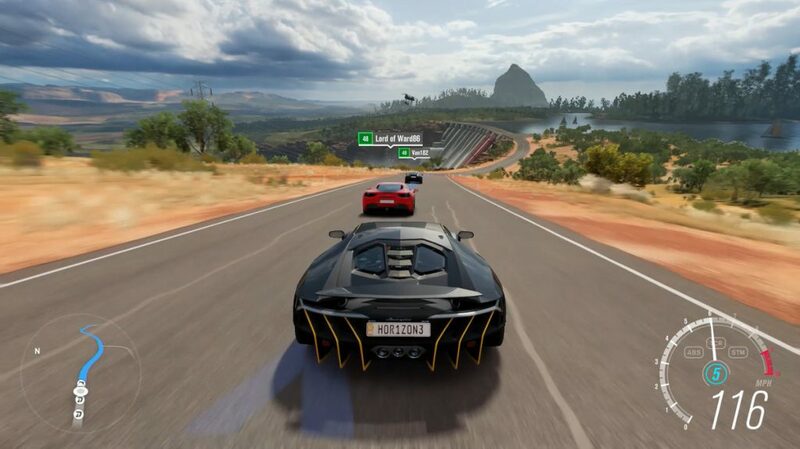 If you are lucky enough to meet the conditions, you can buy the Cheap Forza Horizon 3 Credits at https://www.onlinegameshop.com/ to get your hardware strength and get better rankings and rewards in the game. Players hold carnival in Australia, need enough drivers to participate in order to achieve better event results. Which recruited the driver is an indispensable one. Through the guidance of the assistant, you can learn that a driver on the map of the active area, the use of navigation to the future, find the ID with a special mark on the driver, complete a separate racing, after winning the recruitment can participate in the carnival. Officials say that the ID encountered in the game is real and based on the ID player’s driving habits generated. Carnival scale needs to be expanded, which requires more fans to harvest. To get the fans can participate in the competition and public special games, and these events will be the first time the venue assistant to inform the player. Players have to do is to go after the creation of the game, and as much as possible to get the number of fans. Each opening of a carnival location can be signed in the radio station two radio stations, each station style has its own characteristics, even in the late there will be playing skills to add the skills of the radio station. In the garage of the carnival, you can set up the [upgrade], [adjust], [license] and other aspects of the vehicle. Upgrades can be customized to upgrade the engine, hub and other components, you can also automatically upgrade to allow engineers to directly install the most high-performance components, or browse other players to share the settings. The setting of the adjustment is relatively professional, including the tires of the tire pressure, gear ratio, four wheel positioning, suspension, brake, under pressure and differential settings, if not a professional player, this part of the general need Changes can also be shared by using other players. When you view the vehicle in the auto show, you can also change the location directly after switching to a specific location. Of course, there are many other new skills in the game for everyone to introduce, hope that small partners can always pay attention. This entry was posted in Forza Horizon 3 on February 28, 2017 by systemer.